A woman that criticized Microsoft for labeling her autistic son a cheater on Xbox Live has revealed that he actually did cheat. Earlier this week, a story was brought to the mainstream media by a mother that claimed her son had been given the "Cheater" label on Xbox Live for no reason. As it turns out, there was actually a very good reason, and the mother was aware of it. Jennifer Zdenek made Microsoft out to be a cruel overlord, telling the media that her autistic son Julius Jackson's only form of entertainment had been ruined. All of his achievements were taken away and it now said "Cheater" next to Jackson's Xbox Live Gamertag. Microsoft's head of Xbox Live enforcement Stephen Toulouse was adamant that the boy cheated to acquire certain achievements, having checked out the situation himself. The account Zombie Kill67 transferred from the Xbox it is normally seen on, to an Xbox in another city. 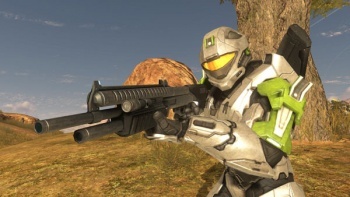 The account earned several achievements for Halo 3 that can only be done online and in succession. It was clear they were unlocked out of order and offline. Earning successive online achievements out of order and offline is an impossible feat, not due to skill, but due to the technology of the system. It can only be done by modifying the account and faking the achievements. Zdenek was aware that her son gave his information to another player, but still paints her son in an innocent light. "I did warn him about this but seeing it wasn't a bank password or anything big, it's just a game we didn't worry about it too much and the boy just offered to give him Recon Armor, which he did," she said. She's given up on fighting Microsoft, and will likely take the company's offer of a free month of Xbox Live Gold and a new Gamertag for Jackson to start again. It appears that Zdenek left some very crucial information out of the original tale she told the media, and even worse, used her son's ailment to gain sympathy. I get that Zdenek probably just cares about her son, but she comes off looking pretty bad for her dishonesty. Thanks for the tip, D_987!